Board Certified Physical Therapist every visit. 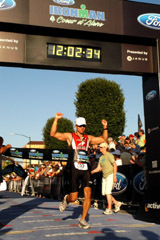 At AERO PT, your goals are our goals. From cutting edge research to state-of-the-art equipment, we use the very best resources available to maximize each patient’s rehabilitation experience. Whether it is to return to work, walk without pain, or play your favorite sport, we individualize every treatment session so that you can reach your personal objectives. We analyze your specific static and dynamic movement patterns and employ the best available manual techniques, exercises, and training modalities to correct your musculoskeletal and movement dysfunction. We work hard so that you can reach your maximum potential. 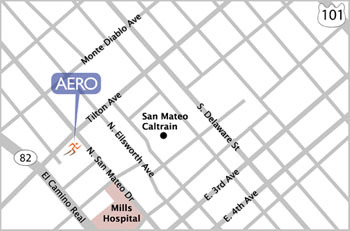 AERO Physical Therapy conveniently offers two locations on the mid-peninsula: Burlingame and San Mateo. 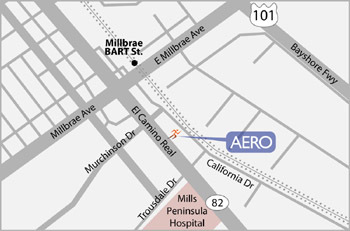 Both offer ample parking and easy access to freeways, public transportation, and major streets.